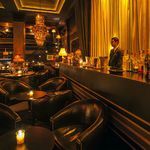 25/10/2014This entry was posted in Africa, Europe and Middle East, Hotel Reviews, Marrakech, Morocco and tagged luxury riad marrakech, marrakech riad, riad hotel on 25th October 2014 by Andy Mossack. There was a moment during my stay at Riad Star Marrakech when I thought I had literally died and gone to heaven. It had been a day of tough haggling deep in the souk; even the shopkeepers were emotionally spent such was the drama that had unfolded. Me, preaching the utmost poverty and hardest of times, they countering with their own torrid tales of woe. A popular dance run many times over, yet always finishing with a smile when a deal was closed. Everyone friends until the next purchasing opportunity of course. But all this haggling had taken its toll and as I wearily walked back through the twisty lanes of Marrakech’s Medina, silently thanking Riad Star for the free walking app which guided me like a homing pigeon back to the riad through the maze, all I wanted was to kick back and sip a refreshing mint tea. One final turn and I arrived back at the Riad; no signage to speak of, just a small discreet star set into the door. It opened, and Aziz, a key member of the house team, stood there with a large smile and, as if by magic, produced a steaming pot of mint tea. Right there, my heavenly moment had arrived. Riad Star is one of four luxury Riads (traditional Moroccan houses or palaces which open inward to a garden courtyard) in Marrakech’s Medina owned by British couple Mike and Lucie Wood, who until ten years ago had no hospitality experience but plenty of love for Marrakech and a reason to return frequently. 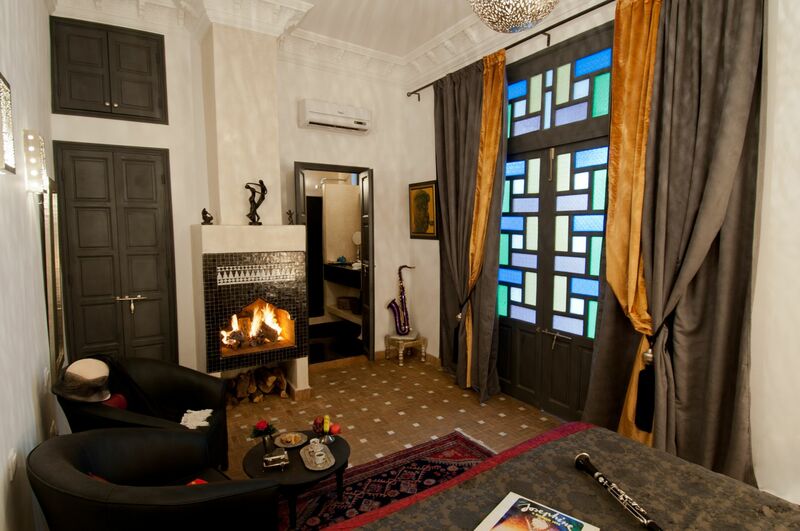 With one Riad lovingly restored to its former glory and a hand picked team of locals running it successfully, two more quickly followed, culminating with the couple’s latest conversion, Riad Star, the former home of legendary jazz singer Josephine Baker. 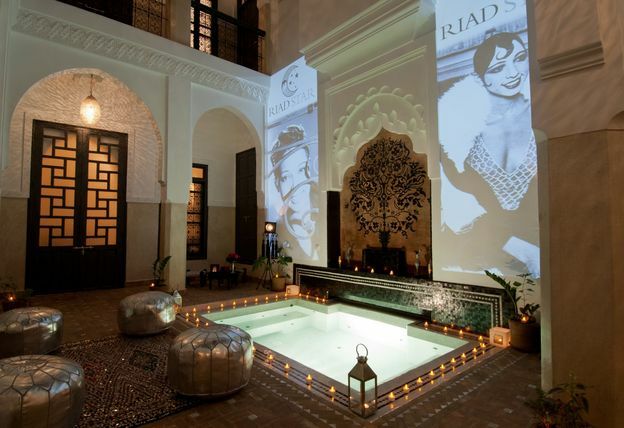 At the heart of Riad Star lies the courtyard, a beautiful dipping pool surrounded by archways concealing plush comfy couches and on one side a small intimate dining room where you can eat a freshly prepared breakfast at whatever time you feel you want to. Bread from the local Medina bakery, perhaps traditional crepes, local honey and jam, yoghurts and fruits and of course eggs done any which way. Better still, I gladly accepted an opportunity to try a home cooked Moroccan dinner on my first night as my flight got me into Marrakech a little late. Although this is something you needed to book in advance, it was a perfect opportunity to try some delicious tagine recipes put together by Miriam the house chef. Each of the seven spacious guest rooms is luxuriously themed around a symbol of Josephine Baker’s legacy, from the glitz of Paris to the roaring twenties of Charleston. Each one full of little knick knacks and treasures, but always beautifully tasteful with queen size beds, 300 count Egyptian cotton bed linen and rainforest showers. The spirit of Josephine lives on everywhere, a collection of theatrical costumes here, a head dress there, figurines in nooks and crannies and when night falls, slides of her in her heyday project on the courtyard walls. All very atmospheric. Another surprise for me was the charming roof terrace, a spacious sun trap for lazy afternoons lying on a sun bed catching a bit of breeze and listening to the sounds of Marrakech down below. Up here too is the Riad’s own private Hammam, a place of wonderment for me. 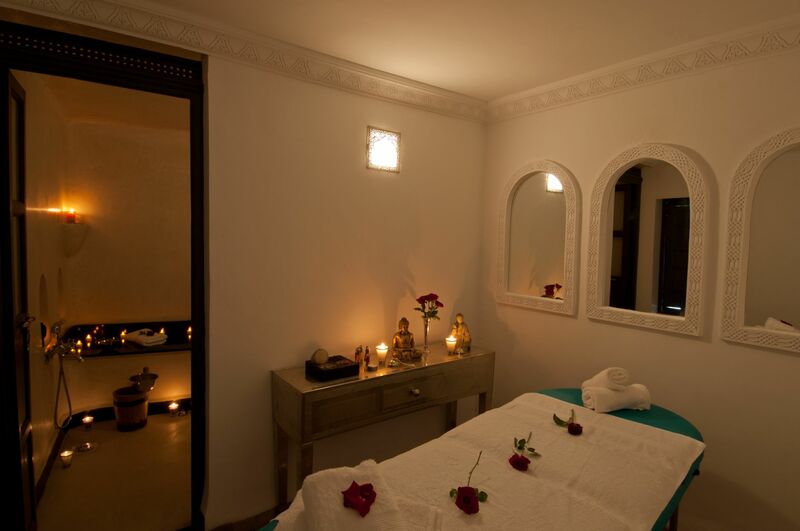 Who can resist the soapy attraction of a cleansing Moroccan traditional massage, an exfoliation that left my skin baby soft for days. 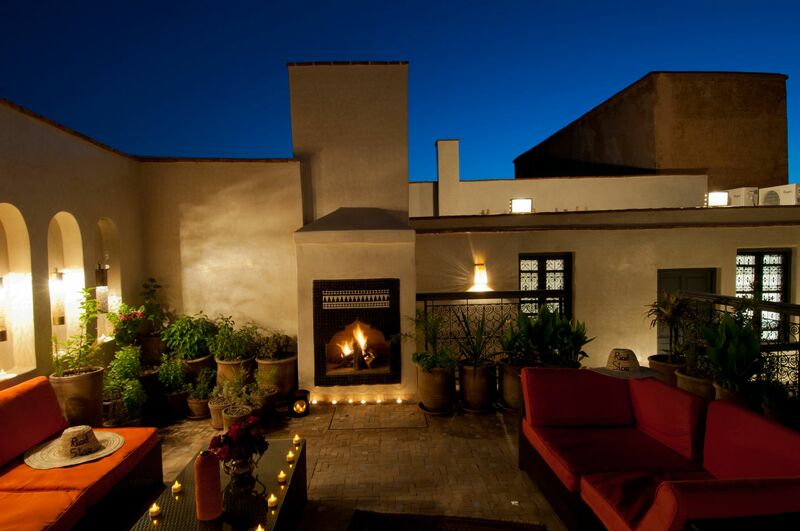 For me there is nothing finer when visiting Marrakech than staying Riad-style in the Medina. It’s a unique opportunity to experience local life up close but at the same time, behind that magical door, your creature comforts await too. Riad Star, together with Lucie and Mike’s other Riad’s, Cinammon, Papillon and Dar Habbib offers luxury hospitality at a mighty fine price, but best of all, you are treated like family by a truly dedicated team. Nothing was too much trouble; I had refreshments on tap, the use of a local mobile phone in case I needed it and the help and advice from locals who knew the city like the backs of their hands. A remarkable experience and not to be missed. 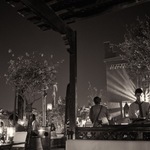 I want to stay at Riad Star Marrakech. How much is it? 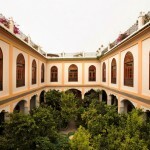 Rooms at Riad Star cost from £140 per night on a bed and breakfast basis, with a 20% discount offered for online bookings. About Marrakech Riad – Each Riad has a dedicated, English speaking Moroccan staff offering a complete 24/7 concierge service. Guests can expect extras such as complimentary toiletries, breakfast served at the time of their choosing, help booking restaurants and excursions and if required, the loan of a local pay-as-you-go mobile to tap into the Moroccan hosts’ local know-how while out exploring. 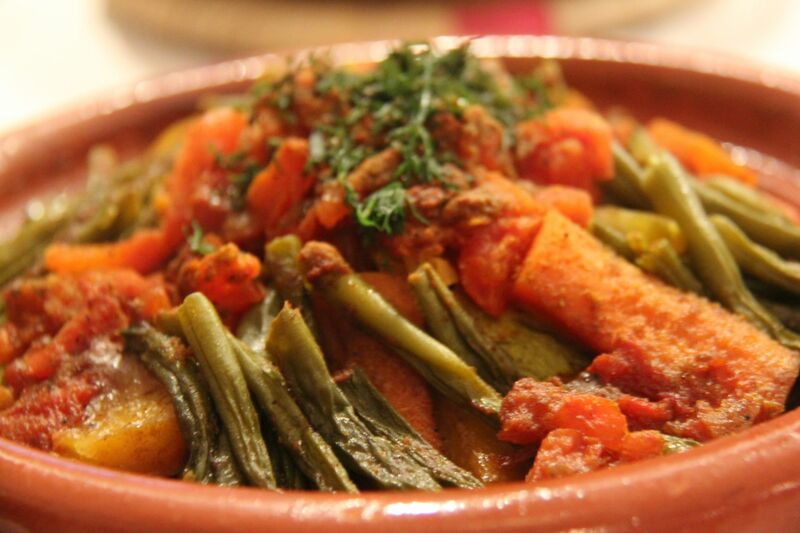 Delicious three-course Moroccan dinners can be dished up on request from £20 per person. Airport transfers (15 minute drive) can be arranged on request for £15 each way (minimum two people).